Cam Spice wins the ARTA Regional Best Restaurant Awards 2018. The inaugural Asian Restaurant and Takeaway Awards (ARTA), one of the most prestigious celebrations of South Asian cuisine in the UK, paid homage to the UK’s finest curry houses and Chefs at the InterContinental London – The O2 on the 30th September 2018. With 21 National Awards, ARTA revealed the best of the best curry houses from all over the UK. ARTA 2018 welcomed a guest list consisting of the nation’s most respected curry restaurateurs alongside MPs, dignitaries and celebrities as they collectively honoured the achievements of the culinary industry. In attendance were Leader of the Liberal Democrats Sir John Vincent Cable, television personality Lizzie Cundy, reality star Ben Jardine, Britain’s Next Top Model contestant Victoria Clay, cricketer Monty Panesar, and TOWIE star Pascal Craymer. The ceremony was hosted by television chef Ainsley Harriott & BBC news presenter Samantha Simmonds. Interspersing the awards presentation was a curated world-class entertainment, including a performance by the evergreen Queen of Bollywood music, Alka Yagnik. The award charity Partner, Chance to Shine, was represented on the night by an ambassador and former England cricketer, Devon Malcolm. 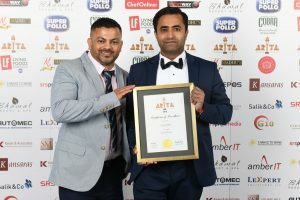 ARTA journey started back in January with the Nomination Launch and Cam Spice Indian Restaurant from Great Eversden, Cambridgeshire competitively passed all stages with merit and scooped the accolade for the Best in East Anglia. 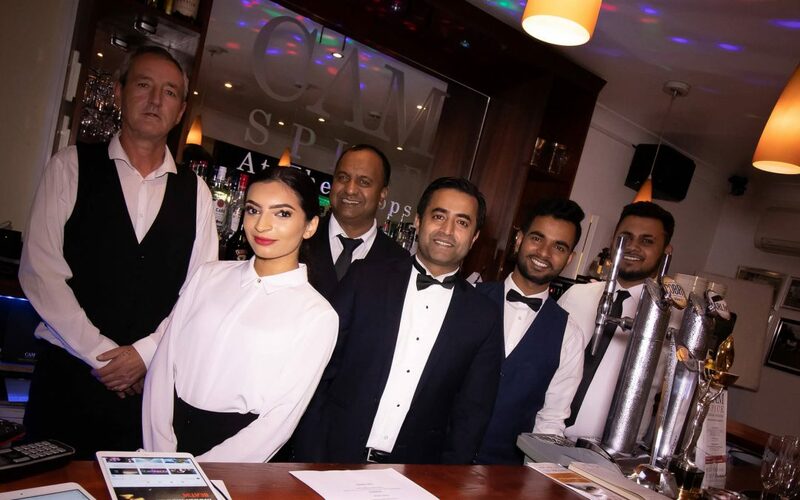 Surpassing each assessment criteria including customer nominations, social media reviews, food hygiene, taste and innovation Cam Spice was victorious as the reigning ARTA Best Restaurant in East Anglia. “I want to congratulate all the participants first for their undoubted efforts throughout the competition. I am happy to win this. It means a lot.” Cam Spice owner, Jakir Chowdhury, upon being asked on ARTA’s inaugural Grand Finale experience. Cam Spice presents a fresh modern look after refurbishment.